Are These 6 ‘Killer’ Marketing Mistakes Stunting YOUR Sales? 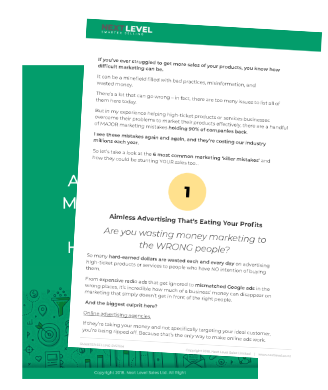 Download the guide to avoid costly mistakes with your marketing and sales. Enter your details below to receive the FREE guide straight to your inbox.